KfW, a German government-owned development bank, which gained publicity for erroneously transferring more than €300 million to Lehman Brothers the day it filed for bankruptcy, has done it again, according to Bloomberg. 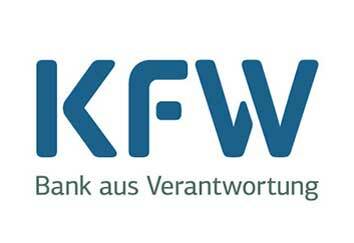 KfW mistakenly transferred more than €5 billion to four banks because of a technical glitch that repeated single payments multiple times, according to people familiar with the matter. In this latest mishap, and according to a source that spoke to Bloomberg, KfW was told about its error by Germany’s Bundesbank, which said it had overdrawn its account there. If you don’t remember the KfW/Lehman Brothers incident, then it was back in September 2008. At that time, the KfW “failed to refresh its counterparty check that would have prevented it from processing the regular transaction”, according to Bloomberg. The transfer became a political scandal in Germany, with newspaper Bild calling KfW “Germany’s dumbest bank”. KfW is not alone for these kinds of glitches. In June 2015, Deutsche Bank’s foreign exchange unit erroneously sent $6 billion to a hedge fund client and recovered the sum a day later. “Critical issue” affects traders in Netherlands, Belgium, France and Portugal. BNY Mellon experienced problems with processing clients’ payments instructions – it blamed the issue on its connection to Swift. The problems were subsequently resolved. No customer will be left out of pocket as a result of the IT issues, TSB assures. Systems now OK for Commonwealth Bank of Australia.